MacLachlan, S.P, & Oosterlee, C.W. (2011). 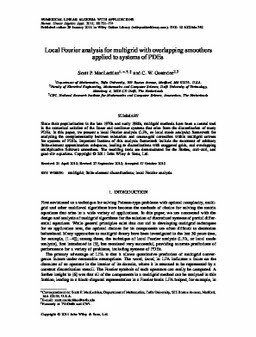 A local Fourier analysis framework for finite-element discretizations of systems of PDEs. Numerical Linear Algebra with Applications, 18, 751–774.